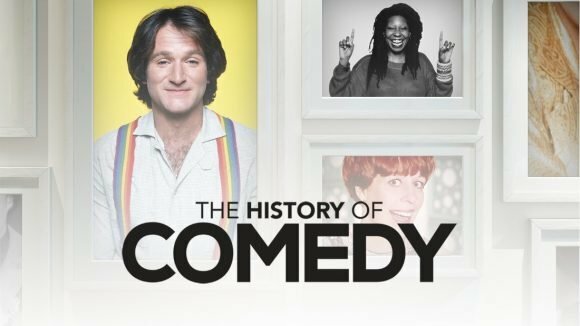 TVNZ 1’s new History of Comedy series is leaving the network laughing in the ratings. Thursday’s episode averaged 5.1% of the channel’s 25-54 target audience, compared to 3.3% for TVNZ 2’s The X-Files and 2.9% for Three’s re-run of the movie Jarhead. It also largely won the hour in the other core commercial demographics but seesawed with Jarhead among household shoppers with kids. Comedy’s appeal was buoyed by lead-in Eat Well for Less, which averaged 4.2% – 6.2% in all the core demos except 18-39, where Three’s Modern Family won the 7.30-8.00 slot with 3.1%. Modern Family also averaged 3.1% of 25-54s and 2.7% of 18-49s but viewers deserted the network for Eat Well for Less when new stablemate 9JKL debuted. The latter could average only 1.9% of 18-39, 1.4% of 18-49 and 25-54, and 0.7% of household shoppers with kids. Even Prime’s time slot-rival Superior Donuts out-rated 9JKL in the 18-39 and HHS/k demos. Three’s 5.30 re-runs of Modern Family continue to poorly serve lead-out Newshub Live, averaging only 0.6% of 25-54s vs 4.1% for 1’s The Chase and 3.0% for 2’s The Big Bang Theory. Newshub Live could muster only 2.8% opposite 1 News’ 7.9%, which helped Extreme Cake Makers to average 4.6% against The Project’s 2.3% and Shortland Street’s 8.0%. The X-Files isn’t doing 9.30 lead-out Sensing Murder any favours, either. The summer staple was out of favour, with a 25-54 average of 1.4%, to finish behind Coronation Street (2.7%) and the second half of Jarhead but ahead of Prime’s thoughtful Louis Theroux doco, A Different Brain (0.5%). X-Files was most popular with 25-54s and 18-49s (2.7%) but averaged below 2.0% in the 18-39 and HHS/k demos. TVNZ 1’s line-up easily won the night in all the core demos except HHS/k, where it and 2 both scored a 23.7% share. 9JKL is woeful and deserved what it got. Three should be warming up a weekend afternoon slot for it. Alreading downloaded 9JKL so no point in watching it.